Police were able to arrest two people in the case, identified as Heather Barden and Daniel Wesp, on Tuesday. As a result of the investigation, detectives found the stolen items at a home near Vegas Drive and Jones Boulevard. Las Vegas police are helping an elderly couple who had their home ransacked while they were away. Police said the couple are snowbirds, meaning they only spend part of the year in Las Vegas. When they returned to their home near Tenaya Way and Gowan Road, they discovered many items were stolen. 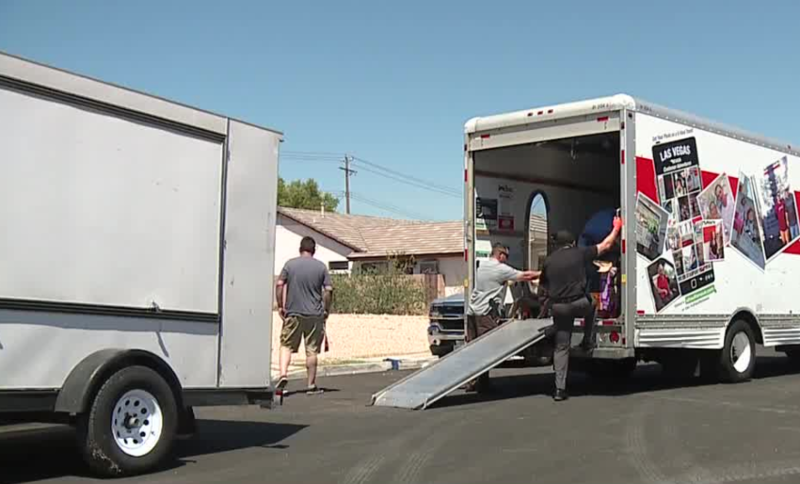 Detectives have helped pack up the stolen items into a moving truck and multiple trailers to return them to the couple's home. After the Northwest Area Command asked for volunteers to help get the belongings back into the couple's home, the community responded. The stolen items are back in the couple's home.